Penang located off the west coast of the Malay Peninsular. Offering delectable local cuisine, magnificent ancient temples and colonial architecture, as well as an abundance of natural beauty. 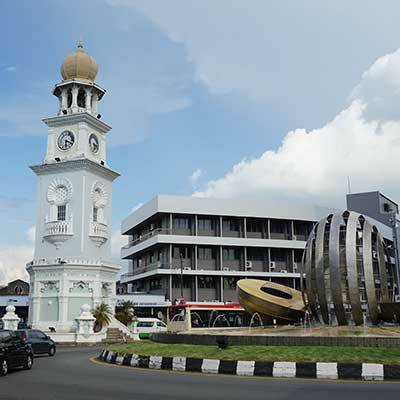 Boasting pristine beaches, tropical rainforest, and spectacular mountain backdrops, Penang has managed to retain its old-world charm while developing a modern cosmopolitan atmosphere. 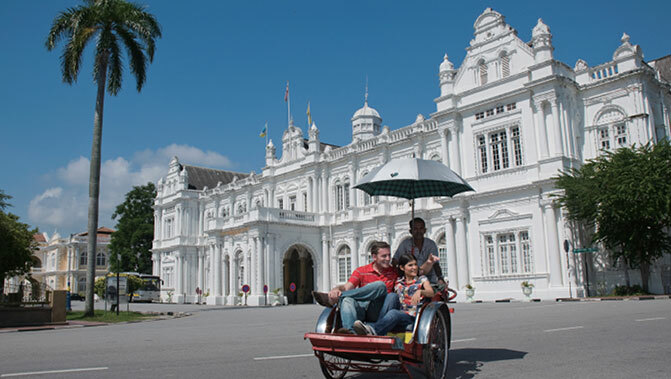 A cruise to Penang is the best way to see the island as the International Cruise Terminal is just 10 minutes from the capital city of George Town. There are plenty of bargains to be had in Penang. 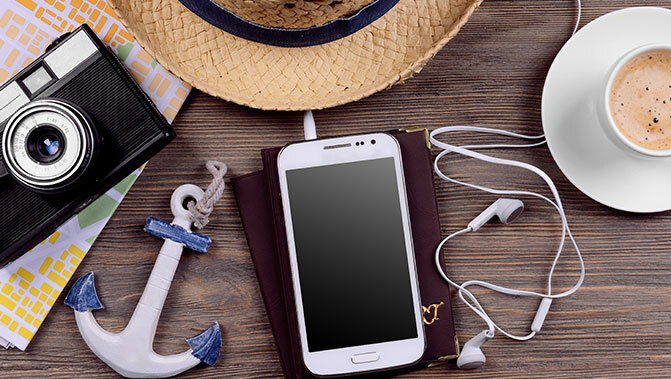 Visit the Batu Ferringhi Night Market for great deals on souvenirs, fashion accessories, luggage, and footwear. For local food on a budget, head to the Red Garden Hawker Paradise. Enjoy a tour of the 72-acre Botanical Gardens and a chance to see Long-Tailed Macaque Monkeys wondering. 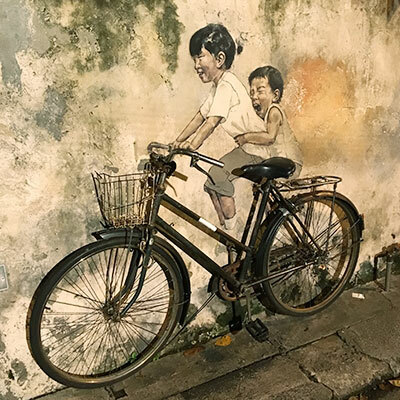 Afterwards, explore the UNESCO Listed George Town Heritage Trails with a local guide, visit the opulent Pinang Peranakan Mansion and view the city’s mural street art. Cross the iconic 13.5-kilometre long suspension bridge which joins Penang Island to the mainland for spectacular views. Alternatively, ride the funicular cable car to the top of Penang Hill to look over the city from 800 meters up.